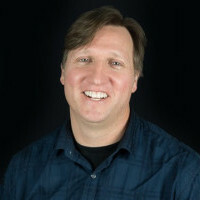 Andy is Hangar 13’s Vice President of Development and Executive Producer. 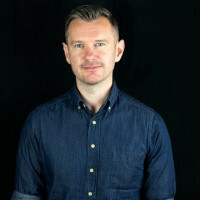 As an expert in AAA games development, he is primarily responsible for planning and directing the development of the studio’s major products and franchises – most recently Mafia III. Previously, Andy was at Ubisoft Toronto, where he held a key production role on Splinter Cell: Blacklist. To Andy, the challenge of continuing to grow a global AAA studio across several locations is one of the most exciting and rewarding jobs in the video games industry. Mafia III’s development story included the founding of a new studio, the creation of a timely narrative packed with difficult subject matter and the rebuilding of a proprietary engine and toolset for a new generation of console platforms. It would be fair to say that it wasn’t simple and certainly it wasn’t all plain-sailing, but the resulting game won many plaudits for its narrative and laid the foundation for Hangar 13’s next phase of growth. As the studio prepares for another expansion with a brand new team – Hangar 13 Brighton – Global Studio Head Haden Blackman and Vice President of Development Andy Wilson reflect on 20 years (and counting) of building a AAA console team from the ground up. For this fireside chat, GamesIndustry.biz's Chris Dring will interview Haden and Andy about their experiences building teams and games at studios such as LucasArts and Hangar 13 – including a look back on Mafia III and key learnings that will impact the team’s future projects. The pair will touch on a variety of subjects universal to all forms of games development, from the smallest indie to the largest AAA teams. Topics covered will include studio culture, working across multiple sites, building proprietary tech and the challenges of working with sensitive subject matter.